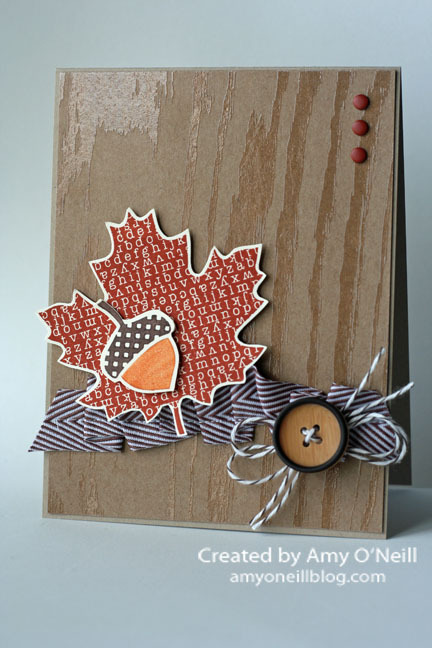 Here’s another Fall card for you today. 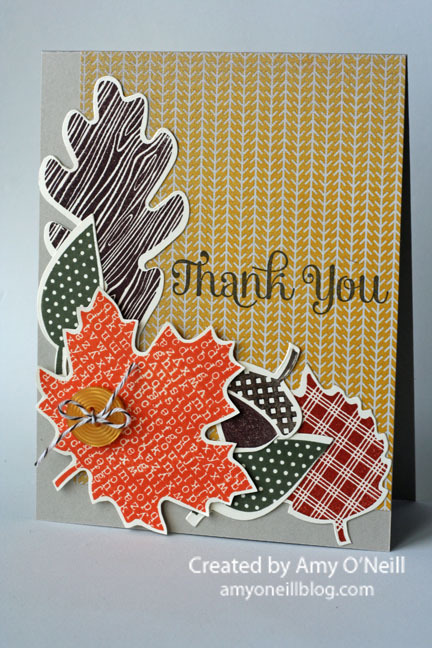 I used various Fall-themed elements and colors. I pulled out my sewing machine to stitch the ribbon onto the card base. Even though it has been HOT and miserable here, I have been drawn to the Sweater Weather dsp lately. I love Autumn, and I am so ready for it to arrive here in north Texas. 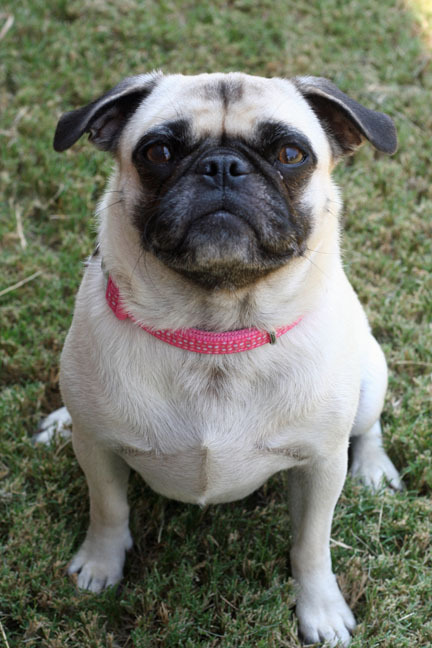 In other news here, I would like to introduce you to the newest member of our family, Maggie, who is a two-year old Pug. While I was on my way to convention last month (I was in the car on the way to the airport, mind you), I got a text from my husband saying that he had found a dog to adopt. Now we had talked about getting a dog (it has been two years since our previous beloved dog passed away) off and on over the past month, but I thought we were agreed that we’d revisit the topic after I got back home. However, when I got home I had an extra family member to welcome me back. 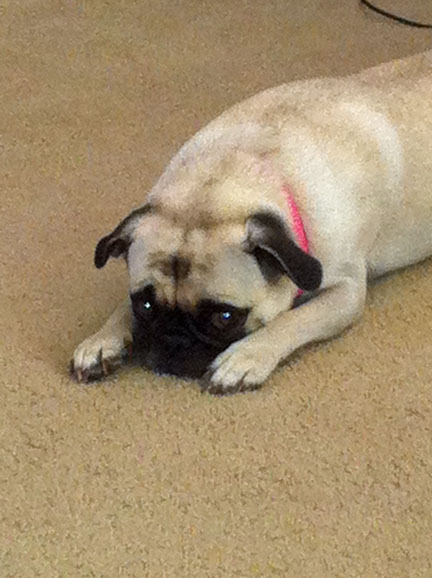 My kids went back to school on Monday, and Maggie and I have been a little depressed. She sticks very near to me, and sleeps by my feet while I stamp. It is nice to have company while the kids are at school.